To and From the Airport.com - Canada - Newfoundland & Labrador. Location: 5 km/3 Miles NE of Deer Lake. By Taxi: Deer Lake Taxi (709) 635-2521 & Star Taxi 634-4343. By Shuttle Van: An Airport shuttle service runs to Corner Brook, Pasadena and other locations. It is operated by Star Taxi 709 634-4343. Fares: Deer Lake to/from Corner Brook $18per person, to/from Pasadena $16 per person. On-Airport Rental Car Providers: Budget 709 635-3211, Hertz 635-4442, National/Tilden 635-3282 & Thrifty 635-8211. Car Parking: The airport has a short-term parking lot with coin-operated meters charged at $1 per hour. There is a long-term overnight parking area which charges $1 per hour up to a max of $5 per day and $25 per week. Airport Tel No: (709) 635-3601. Location: 3 km/2 miles SE of Gander town. By Taxi: Town Taxi provides a 24 hour service available at curbside in the Domestic Arrivals area. Call 709 256 3333 or 709 256 8282. M & S Limousine Service 709 256 8426. By Bus: DRL Coachlines Ltd. run a daily scheduled passenger coach service across Newfoundland. Call Free 1-888 263 1852. On-Airport Rental Car Providers: AVIS 709 256 4275, Budget 256 3566, National 256 4934, Thrifty 256 8955. Notes: ATM/Cash Machine available. Information desk is open 24hrs. Airport Tel No: (709) 256-6666. Location: 7 km/4½ miles NNW of Town. By Taxi: Airline Taxi, the official taxi service for the airport, provides 24-hour service and meets arriving flights at the entrance of the terminal building. Also, a telephone, located near the main entrance of the building, provides a direct line to the taxi service. On-Airport Rental Car Providers: Budget 896 2973 & Tilden 896 5575. Car Parking: Parking space is available at the Airport. At the moment there is no charge for either short-term or overnight parking. The overnight parking area is on the western side of the building. Airport Tel No: (709) 896-5445. Location: 36 km/23 Miles W of St Anthony. By Road: 53 km/33 Miles/40-45 mins from St. Anthony. 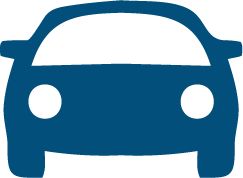 Rental Cars: Car Trawler Car Hire. Airport Tel No: +1 (709) 454 3192. Location: 8 km/5 Miles NW of downtown St Johns. Airport Overview: One modern terminal, with departures and arrivals on the same level. A seperate heliport for Cougar Helicopters (for flights to oil rigs) is 100m from the main terminal. Exit and turn left. By Road: To downtown St John's 9 km/6 Miles/15-20 mins. Location: Taxis are always available at the airport, outside arrivals. Fares from the Airport: Set fares are charged from the airport to the city. Set Taxi Fares: For the first person: To city centre $20, Delta St. John's Hotel $20, Holiday Inn St. John's $15, Quality Inn Hotel Downtown $20, Guv'Nor Inn $20, The Battery Hotel & Suites $20, Capital Hotel $25, Hotel St John's $25, Kenmount West area $25, Super 8 hotel $15, Fairmont Hotel $20, Comfort Inn $10. To Torbay $25. To anywhere in the airport zone $10. Each additional person $2.50. Taxis to Mount Pearl, Kilbride, Goulds & C.B.S. are by the meter. Fares to the airport: The trip back to the airport is by the meter. Approximate cost from the city centre to the airport is $16. Taxi Companies: The only taxi company authorised to pick up at the airport is City Wide Taxi, tel 722 7777. Other taxi companies (for trips back to the airport): Avalon Taxi (709) 722 6070, Co-op Taxi (709) 726 6666 & Jiffy Cabs (709) 722 2222. General: St. John's has a number of Limousine Services to choose from. Celebrity Limousine 1 877 55 5460 Toll Free, Executive Limousine Service 753 2879, First Class Limousine Service 335 2223, Memories Forever Limousine Service 738 4336 & Atlantic Wave Limousine (709) 748-5466. On-Airport Rental Car Providers: AVIS (709) 722 6620, Budget 747 1234, Enterprise, Hertz 722 4333, National 722 4307 & Dollar/Thrifty 722 6000 all have desks in baggage reclaim. Passengers not arriving by air are permitted access to the baggage reclaim hall. Car Parking: The parking lot is next to the Terminal Building. Payment is by cash, debit cards, and credit cards. Cost: Short Term: $1.25 per 30 mins, $30 per 24 hrs. Long Term: $1.25 for each 309 mins, $10 per 24 hrs, $50 per week. For further info call (709) 758 8531. Notes: ATMs/ cash machines available. Hotel booking desk in arrivals. There is a ground transportation desk in arrivals, but since taxis are the only option, its function is not entirely clear. It was not manned on my visit in September 2007. Free wireless internet available for a limited time in the terminal. Airport Hotels: The closest hotel to the airport is the Comfort Inn, a 5 min drive/$10 by taxi. A complimentary shuttle runs to the terminal. Tel 1 800 4 Choice. Airport Tel No: (709) 758 8501. Updated May08. Last Visit Sep07. Location: 3 km/2 Miles E of Stephenville. On-Airport Rental Car Providers: Several companies are at the airport including Budget & National. Airport Tel No: (709) 643-8443.